The devastation caused by a commercial truck accident is overwhelming. If you’re driving an average-sized car and become involved in a collision with one of these huge commercial trucks, like an 18-wheeler, tractor-trailer, semi-truck, tank truck, dump truck, delivery truck or any large truck, you are at the mercy of fate. Due to the massive size and weight of most commercial trucks that drive our highways everyday, they could cause very serious injuries and possibly death. For people that fall victim to these accidents, most trucking companies will do everything in their power to fight them and defend their driver. They have tremendous resources to use in fighting any claim, even if the driver caused the accident by not following trucking industry regulations, routine safety standards, and/or broke the law. We’ve all driven on the highway alongside 18-wheeler trucks and seen how huge they are, which is about 16 times the weight of your average-sized truck. The massive size of these vehicles is what causes such incredible damage and destruction when they’re in an accident. The results are often catastrophic for the everyday driver who can sustain very severe and possibly disabling injuries, if not death. Because the trucking company will pull out all the stops and use all its power to fight any claim and threaten any chance the victim has for being awarded just compensation, it’s vital that victims of these accidents retain topnotch legal representation, someone with experience taking on trucking companies and prevailing for their clients. Little, Oliver & Gallagher Law Firm specializes in truck accidents and has many years of experience winning cases for the victims of big commercial truck accidents. Little, Oliver & Gallagher Law Firm represents victims injured or killed in accidents involving 18-wheelers or any big truck throughout all of Oklahoma. Our legal team is highly experienced and very knowledgeable in this area of the law. We have the resources to represent you very successfully before the court against a trucking company of any size. 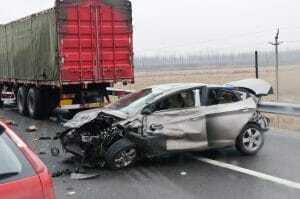 A truck accident case differs in so many ways from your standard car accident. It takes a lawyer with expertise in this area of the law to handle the case. There is so much more at stake because of the danger that these large trucks pose due to their massive size and weight and the complex laws governing commercial truck drivers. The vast number of issues that must be investigated and legally addressed requires a team with the resources to conduct a thorough accident investigation as well as the legal expertise to prevail in court to obtain just compensation.